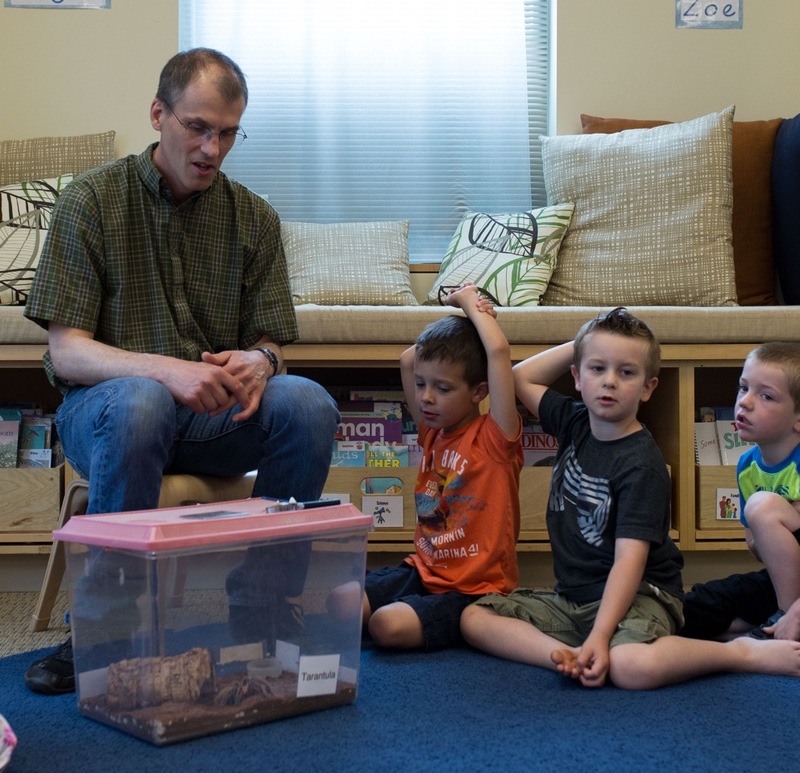 Whales received a special visit from Jon Schnorr (professor of Biology at Pacific) and his pet tarantula, Little Doug. Whales learned plenty of facts about this special arachnid. 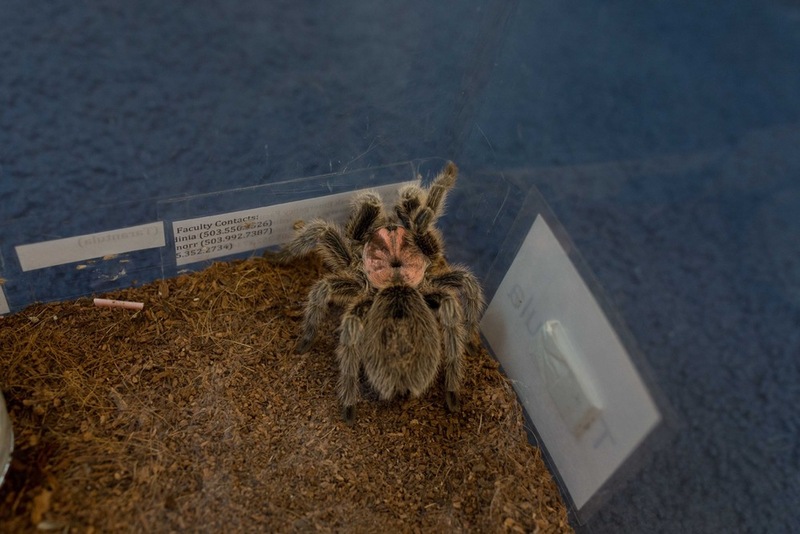 They can eat small mice, they live in places that are hot and dry & also hot and humid, they don't spin a web but they do produce silk and there is an insect called a tarantula hawk that can actually eat a tarantula! Whales spent plenty of time peering into Little Doug's cage and watching him scurry along the bottom of his habitat. What fun!